Introduction: Carsharing by its various names and different forms is one of the fastest-growing new ways of getting around in cities and outlying areas for day-to-day travel. Over the last decade it has increasingly proven itself to be an effective mobility option, serving thousands of cities on all continents. The 2014 work program focuses on carsharing, but is not limited to this one new form of car use. Coverage of different carshare forms: Traditional, One-way, P2P and private, while keeping a weather eye on new taxi, DRT and ridesharing developments. 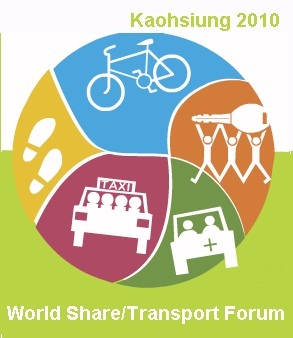 World Streets has published more than 200 articles on xCars and carsharing by contributing authors reporting on developments, barriers, visions and strategies for more than thirty countries on all continents. It also offers direct links to several supporting projects, events and sites, including LinkedIn, Facebook, Google+ and several collaborative libraries. The menu to your left introduces the project in detail. Articles and comments follow in reverse chronological order. Moscow’s sharing boom shows how quickly consumers can abandon the traditional car. This from Bloomberg rings many bells and is just too good to be passed up for our students and readers. Right up the middle of World Streets long time position on the steady global shift from ownership to use in the cities/car nexus , it is thus passed on here with thanks to the author and the publisher. The complete article with photos, graphics, a short video and references is available from Bloomberg at https://bloom.bg/2UPplxmz . Let’s have a look. . . . . You don’t have to be Milton Friedman to figure out that car ownership is economically foolish. “I want you, on purpose, to spend $33,000 on an asset, okay? And I want you, on purpose, the minute you buy it, to lose 11.5 percent. And on purpose to make that asset sit idle 95 percent of the time,” said Gary Silberg, the Americas head of the automotive division of the financial services firm KPMG. “You don’t have to have a PhD in economics to figure out that it’s maybe not a great idea to buy a car. But Americans love their cars, right? PREFACE: It is always a good idea, no matter how hard and even smart we may be working on our project, concept or dream, if we are able to have the benefit of the comments and suggestions of some bright and inventive outsider, someone who has not spent all their time 24/7 staring at the challenges in front of us transportation guys. Let’s have a look at this fresh commentary from one Israeli entrepreneur, Uri Levine, who says he hates traffic jams — and then take some time to ponder a bit on his vision, ideas and hopes before we turn back to the tasks at hand. Thanks Uri for your fresh vision. Let’ see if we can in our next big project — the Five Percent Challenge — respond to your challenge. I hate traffic jams. Don’t you too? * Interview with the author, Arve Hansen of the Center for Development and the Environment, University of Oslo. My overall research topic is consumption and development, and I am particularly interested in changing consumption patterns in contexts of rapid social and economic changes. In my PhD thesis I studied the transition from bicycles and walking to motorbikes and cars in Hanoi. In other words, I studied a transition from very low-carbon mobilities to high-carbon mobilities. I approached the topic at the intersection between macro-scale processes of economic development and everyday mobility practices. And in Vietnam’s capital city, understanding contemporary mobilities first and foremost requires an understanding of the motorbike, a so far surprisingly understudied vehicle in the mobilities turn. Any public conversation about on-road cycling in Australia seems to have only one metaphor for the relationship between drivers and cyclists: equal reciprocity. Drivers, bicycle riders and pedestrians all need to Go Together safely. We should all respect each other’s space and ensure that everyone stays safe.